Yesterday I was freaked out, and so I did not write blog. My internal exam of 20 marks is starting from tomorrow, and I was completely raved out as in what am I supposed to do. I hadn't even gone through the portion, until yesterday, when I checked the internal portion of the professor's two subjects, who had his lecture today. I quickly went through both the subjects' portion for internals, and was unhinged knowing how little I knew, and so less amount of notes I had. This semester, I just don't know why, I have not paid attention to what the professors were teaching. Also, due to so much of distraction and holidays, trips, festivals, and days, I don't even feel like the professors have studied as much as to give exams for whatever they have. 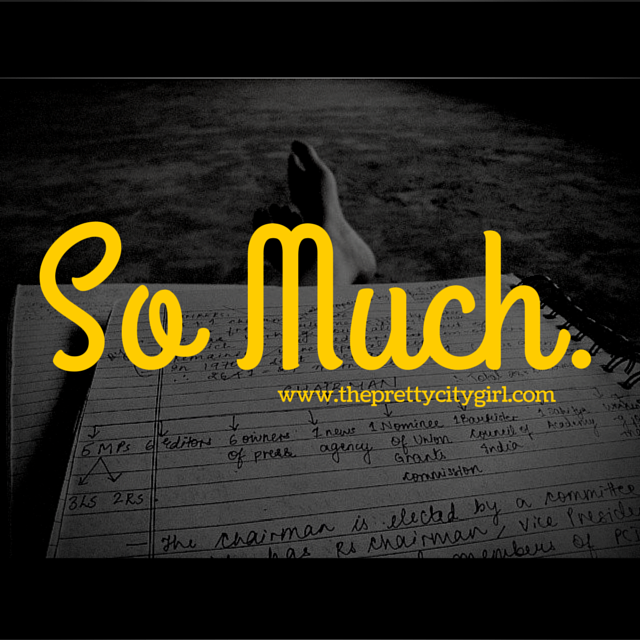 The semester's coming to an end, and we all are so ignorant about what we exactly have. Thankfully, I got the exact internal portion of the two subjects today and cleared all the portion-related doubts; let's see how it goes for remaining four subjects. The worst part right now is having Personal Interview/Interaction and Written Aptitude Test, right after exams; my exam finishes on the 14th, and this PIWAT is on the 15th, that too in a different city. I'm so freaked about just everything. I am not prepared for either internals or the PIWAT. On top of that, the atmosphere at my place is not at all study-friendly right now. All the four members of the house are at home, and they talk so much! I had to go on terrace today evening. Terrace studying is literally peaceful, serious, and solitary. I could study for just an hour, because it got dark after it; but whatever I studied in that hour is so nicely fitted in my brain. Now for tomorrow's Press Laws and Ethics subject, I have total four topics. The number seems tiny, but trust me, there's a lot to do. My parents are not home right now, and so I thought of writing blog quickly. They will yell at me for writing blog instead of studying (and later panicking). 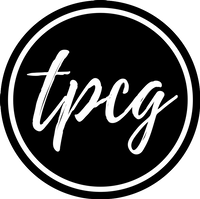 But if I don't write TPCG, I somehow feel incomplete; I feel like something's missing for the day. And so, forgetting how much I have to study, I anyway start the PC and write whatever is on my mind here. When is your exam? Are you prepared, or raved out like me?